The country is a beer making nation with around 150 commercial breweries, microbreweries and brewpubs. Beer accounts for around 60% of alcohol for sale. The beers you will see the most while travelling through New Zealand comes from the two biggest breweries: Lion Breweries and DB Breweries. But a lot of small communities caught onto the beer revelation that started in the late 1990s. Today, you are spoiled for choice with craft beer in New Zealand. These beers are made by locals with a passion for beer for those who love drinking beer. 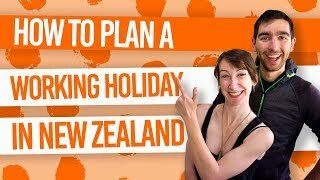 In this list of New Zealand beers, we’ll include a mix of craft beers to try in New Zealand as well as mainstream beers that are simply friendly to the backpacker budget. Remember to drink responsibly and check out our 11 Drinks You Have to Try in New Zealand. If you’re looking for an affordable beer brand in New Zealand, then Speight’s is one of the most popular. Speight’s is a Lion breweries beer. You can take a tour of the Speight’s Brewery in Dunedin. The brand has grown to have ale houses around the country. Moving onto the craft beer now, one New Zealand craft beer worth trying is from the Invercargill Brewery. To complete the experience, Invercargill Brewery is open for tours and tastings. Plus, it’s probably the southernmost brewery you will ever visit. As we mentioned, there are no lack of microbreweries in New Zealand and a great example is the Wanaka Beerworks located at the Wanaka Airport. What’s more, tours are available to check out how a microbrewery functions. Brewed on the West Coast, South Island, you can take a tour or have a taste of the beers at the Monteith’s Brewery in Greymouth. They are known for being a bit experimental, as one time brewers blocked all the brewery’s pipes with chocolate stout. The Dunedin Brewery has a core range: Pilsner, 1812, bookbinder and London Porter. Plus seasonal and limited edition beers. One of the craft beer brands that has hit the big time in New Zealand is Mac’s. Mac’s has a number of brewbars across the country to try the selection on tap, including its seven beers and popular ginger beer. DB has been quenching the thirst of beer guzzlers since the 1930s. What’s more, this selection of beer gives you break from beer bottles, as they mostly come in cans. DB does DB Draught, DB export, DB Bitter and a backpacker’s favourite, Double Brown Beer. The brewery based in the East Coast city of Gisborne is famous for its generous tasting trays and laid-back brewery tours. The South Island city of Nelson claims to be one of the biggest craft beer-producers in the country. Founders Brewery in the Founders Park is one of the most popular Nelson beers. For more brewery inspiration in Nelson, take a look at 10 Craft Breweries in Nelson You Have to Try. Speaking of Nelson, Bays Brewery is also worth trying for their traditional methods used to brew Bays beer naturally. Epic beer boasts variety: pale ale, lager, Armageddon I.P.A and Hop Zombie. Look out for seasonal beers too. The brewery is made in the Marlborough region by wine makers… wait a minute. The Twisted Hop Brewery in Christchurch specialises in English style cask conditioned real ales. Tuatara Brewery is hand crafted in Paraparaumu. It sources ingredients from all over the world. Not just a punny name, Yeastie Boys’ is renowned for its American style porter, Pot Kettle Black. Made in Wellington. Another brewery situated in the heart of the wine county, Marlborough. Go to the Dodson Street Beer Garden to not only have a peak into the Renaissance Brewery, but to also try beers from the largest collection of craft beers in New Zealand. New on the beer crafting scene, Garage Project is based in Aro Valley, Wellington. The beers can be sampled at Cellar Door in Wellington. Visit the Brewbar and Restaurant in Riverhead, Auckland to drink their selection of beers fresh from the tanks. Sprig & Fern Brewery is part of the Nelson Craft Beer Trail. There are 10 small breweries in the Nelson. Brew Moon is found on tap in Dunedin, Wellington, Invercargill, Blenheim, Christchurch and Nelson. Of course, you can go for tastings at the microbrewery and cafe in Amberley, Canterbury. What makes this beer stand out from other New Zealand craft beer is the fact that the brewers choose to can their beers, not bottle! Another craft beer from the Nelson region, Hop Federation offers brewery tours nestled in hop-growing orchards. The three Hot Water Beers can be enjoyed minutes away from Hot Water Beach, Coromandel. Mike’s Organic Brewery is Based in Taranaki. There are 14 beers to choose from. Aotearoa Breweries in Kawerau, Bay of Plenty has 11 award-winning beers.